For as long as I have been investigating, about ten years now, I have longed to have a face-to-face encounter with the unknown. Preferably a benevolent encounter. Most of us who investigate will often see things out of the corner of our eye and we will look to the side a second too late, we’ll process the strange sound we hear about five seconds later. Overall, having a face-to-face encounter is rare, at least for me. The first place we went to was the sick bay in the USS Hornet. There, our leader was communicating with a spirit of a young sailor. The tool he used was the old flashlight trick. You ask the spirit questions and they manipulate the flashlight by turning it off or on…or when saying yes or no. This method became very popular after it was seen on Ghost Hunters. It’s a controversial technique and not always dependable in my humble opinion. It’s very easily to manipulate the trick because when you unscrew the head, it creates an open current where a bump or anything really can make the flashlight turn off or on. I’ve been reading up on people actually using magnets to manipulate the flashlight as well. Now, supporters of the flashlight method can easily refute me by saying the flashlight is sensitive enough where a spirit can easily manipulate the device. And if people believe they have had a legit paranormal experience using the flashlight method, than who am I to say no? Then we moved on to the engine room where the leader’s friend apparently committed suicide. He told us that we would smell something when we got down there, but he wouldn’t tell us what until we told him what we were smelling. Evidence and experience were already tainted, my friends. When you do that, people will be on high alert for smells and literally anything they smell could be interpreted as paranormal. I’m not a fan of telling people what they will experience before investigating. At least if you want to take the evidence seriously. It’s important to not taint anything so that, say we were never prompted about the smell, and several of us were smelling something, then those experiences are much more real. I’ve been on ghost hunts and tours where the leader will take note of our experiences and then tell us afterward that others experienced the same thing. That is more legitimate for me. Also, I had an ethical issue with investigating someone’s suicide location for a ghost hunt for tourists. It’s one thing if it’s a client-based investigation, but asking your dead friend to do tricks for tourists? I had an ethical issue with that…I felt it was border-lining (if not completely) disrespectful. After all that, I was a tad disappointed that I couldn’t do a good EVP session in the sick bay. But then me and my friend Tiffany were able to go back down there with some other people. We actually got to lay down in the beds and we began our EVP session. About ten minutes later, I experienced my first face-to-face paranormal experience. While I won’t elaborate on what I saw, I will say that it was a special experience. Tiffany and I agreed to not tell a lot of people about our experiences. But during the circle talk the next day, others had experienced the same thing we did at other times. I had been so frustrated with the ghost hunt earlier and I felt like there was definitely something in the USS Hornet, but I wasn’t given an adequate opportunity to investigate like I had wanted. I always try to investigate with the utmost respect for the unknown being in the location. These spirits that dwell on the Hornet were men who served our country. I tried to have a conversation with these men. I asked them about the war, Pearl Harbor, etc. I told them about my grandfather who was a Japanese-American who served. I also thanked them for their service. It was about that time when Tiffany and I had our experience. I felt like that experience was a gift. Maybe even a thank you? I don’t know. I was blown away. I was a little freaked out, but I was also emotional. I had never looked at anything like this dead-on before in my life. It wasn’t in the corner of my eye, I was facing it. And Tiffany was there to validate my experience. I will say this: Sometimes a paranormal experience can be a gift. We need to keep an open mind and be ready to experience the unknown and accept the gifts that they may give us. It can be a positive experience, and not always scary. 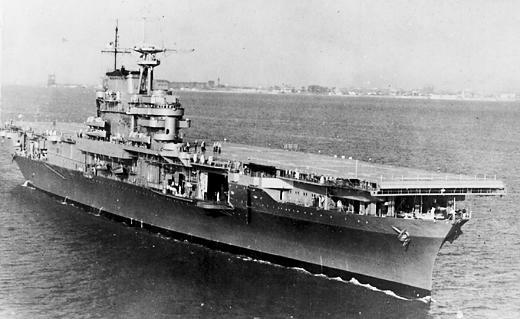 I believe the spirits on the USS Hornet want to communicate…they are just waiting for the investigators that don’t treatment like a carnival side-show expecting them to perform tricks, but instead, just talking to them like the physical human beings they once were. Great Blog Alex!! My friend and I were also on Field Trip 14 but only for the USS Hornet overnight. I completely understand your moments of frustration. We are very fortunate to be locals to the area and have ample opportunities to investigate the Hornet and we have several times now. I’m glad you were able to finally investigate and even happier that you experienced our fearless sailors’ presence. You said all the right things to them and when they feel our love for them they will always come forward and communicate. The first time we investigated the Sick Bay berthing area we were literally in front of the desk with the lamp and phone on it and after introducing ourselves we captured an EVP of a male voice saying “Welcome” unfortunately we didn’t hear it until we reviewed the audio later on but that EVP was the start of an ongoing quest for our group. We have never once encountered any negative energy while on board, and we know it’s because of our deep appreciation to all that sacrificed everything for us and our freedom. Anyway great write up and wish we could’ve met. I actually think I was in Ryan’s Paranormal 101 class with you your name sounds very familiar to me…..Take Care! !